We are one of the leading manufacturers and suppliers of Bench Lathe Machine. The offered planner lathe machine is made from high tensile steel, which is duly hardened for performing under high mechanical stress. Our supplied planner lathe machine is capable of producing plane surfaces, solids of revolution and helices. The low cost version of second operation lathe developed by Abhijat is very versatile, handy, precision and compact machine without turret. Spindle accuracy is equally good as compared to second operation turret lathe. Our organization involved in offering wide range of Bench Lathe to our most valued clients. 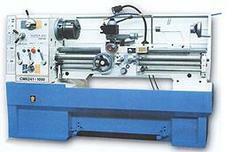 These lathe machines are manufactured by using advance technology and high quality raw material. 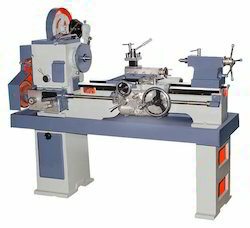 These Bench Lathe are widely appreciated by our clients for its hassle free performance and other unique features. We are engaged in offering wide range of Bench Lathe Machine to our most valued clients. These Bench Lathe Machines are manufactured by using advance technology and high quality raw material. These Bench Lathe Machines are widely appreciated by our clients for its hassle free performance and other unique features. XLTURN is a 2-axis benchtop slant bed lathe with 8 station programmable turret. It is the ideal solution for training and prototyping. The machine is offered with Fanuc or Siemens emulated control system or MTAB Industrial Control. The machines are high precision, sophisticated. XLTURN can be integrated with modular automation components to create Smart Factory Automation Systems(FMS, CIM).